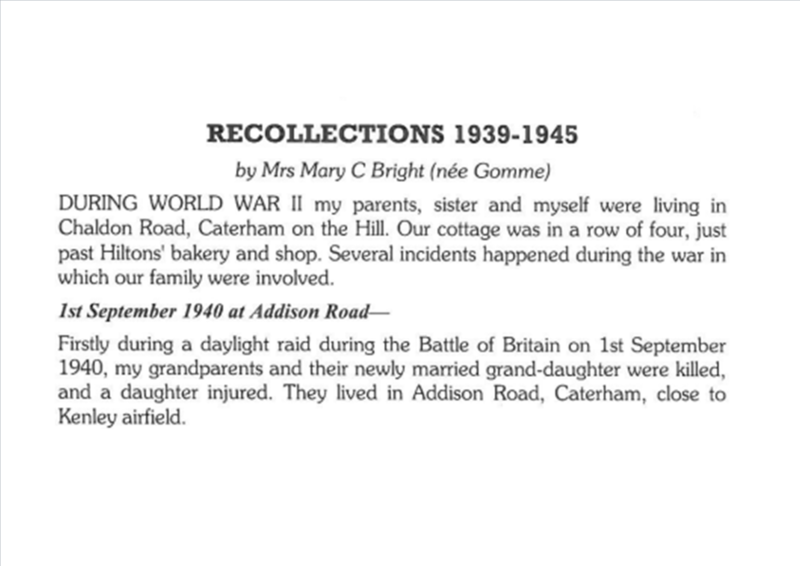 During World War II my parents, sister and myself were living in Chaldon Road, Caterham on the Hill. Our cottage was in a row of four, just past Hiltons’ bakery and shop. 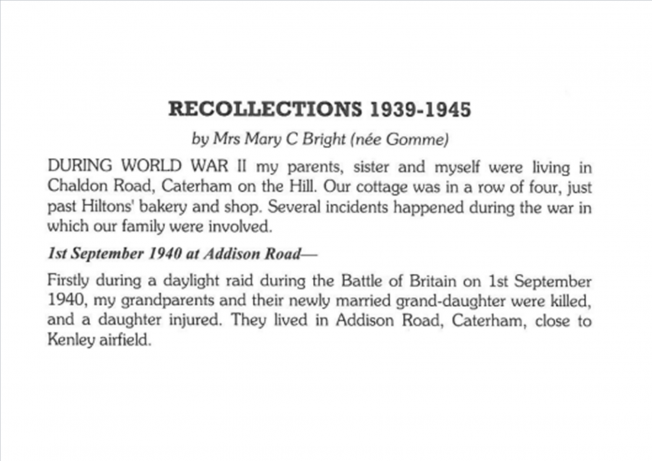 Several incidents happened during the war in which our family were involved.